Rumours of his demise are greatly exaggerated. Off with their heads. 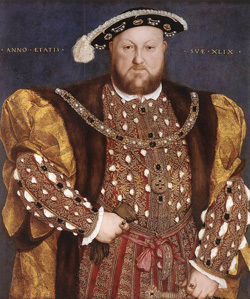 Wikipedia reckons the portly monarch lived a staggering 516 years. Clearly, marriage is good for one's health. But it's such a pity he didn't last two more years; the 500th anniversary of Henry's ascension to the English throne takes place on 21 April.